...aim is to give you a warm welcome and to provide a friendly atmosphere for a memorable stay. The hotel is situated in a residential area close to the city centre, within walking distance of local restaurants, bars and shops and in proximity of the the station, hospitals, theatres, universities and airport. The hotel offers our guests ample possibilities for parking. 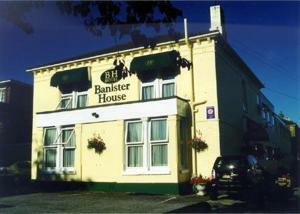 The Banister House Hotel is a non-smoking hotel. *** Please note: the hotel DOES NOT HAVE 24 HOUR recpetion. If you are checking in after 10.00pm please call us as soon as possible.